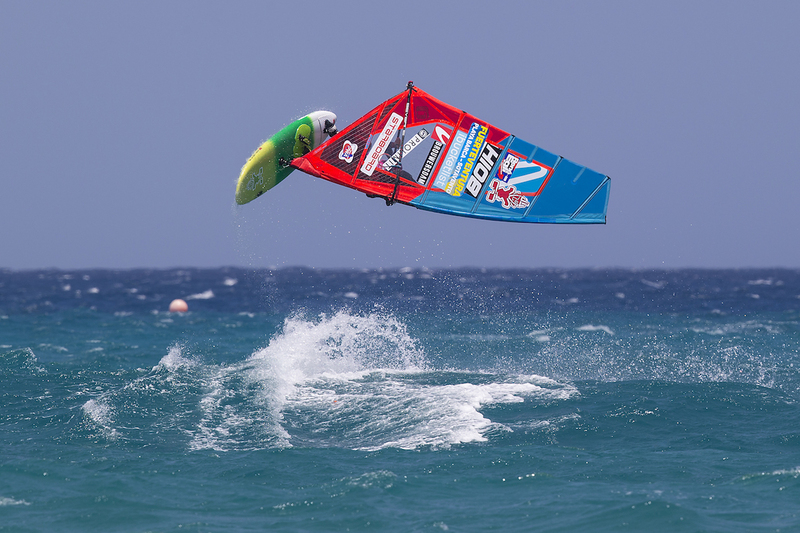 Maaike Huvermann (Starboard / Severne / Maui Ultra Fins) has quickly become one of the best female freestylers in the world since making her debut in 2013. Since then the 20-year-old has finished as the vice-world champion for the last two seasons and in 2017 she gave Sarah-Quita Offringa (Starboard / NeilPryde / Maui Ultra Fins) the biggest run for her money yet. As one of the biggest talents on the women’s freestyle scene we recently caught up with Maaike for an interview to discuss her performance, travelling and gaining a bit of freedom after completing her studies. Hi Maaike, you’ve finished the last two seasons as the vice-world champion and last year you managed to beat SQ once and then just missed out on the world title… how did you feel about that and has beating SQ once made you even more motivated? She’s still unbeatable to this day! Respect to SQ for that! I didn’t beat her yet, in Fuerte I got really close. I don’t recall the exact number, but I needed about 1.5 points more with a total score around 120 to win. It took the judges about 30 min to announce the result. It’s safe to say that these were one of the most hectic moments of my life so far. I didn’t really expect to win, but on the other hand I sailed my best heat ever. That was a rollercoaster of emotions for both of us I guess. I didn’t end up winning, but the support from everyone was amazing and definitely the best moment of 2017 for me. Brazil was simply amazing. Having seen all the videos of Brazil for years I was so happy to finally make it. A lot of trips to the lagoon as well as sailing in Jeri a lot. I feel like I mastered pretty much all of the power moves, which was a main goal for this trip so that was pretty cool. The only move I can’t do is the air bob, but I don’t like it so much so I never really try. There’s enough different ones anyway. Awesome trip with amazing people and great conditions. Did sailing with both SQ, Oda and Arrianne push your level? It was really cool to sail with them without a competition happening at the same time. Sailing with them is really cool because I just have a lot more fun. I think this also translates in better sailing and picking things up faster. What new moves have you added to your repertoire and what are you currently working on? I’m not consistent in all of them but so far… Burner, air funnel, kabikuchi, spock culo, ponch, backloop and learning stuff on my wrong tack. And overall getting more consistent. You’ve recently travelled to Vietnam… what made you choose there instead of somewhere like say Cape Town where a lot of the pro sailors are? My dream was (and still is) to go to Australia, but it was a little late in the season and really expensive so I couldn’t really work that out. Vietnam is close to Australia… sooo close enough?! Does that count as good reasoning?? That’s not the only reason though. I feel like I’ve already been to Cape Town because of the amount of photos and videos I’ve seen. I love to see new things, the culture is so different and I get to go on a lot of adventures like riding my motor scooter (can be challenging in Asia!) and see religious temples. It’s relatively cheap as well and it’s really quiet (as an introvert this can be very pleasant). Last year you also finished studying right? What did you study and what do you plan to do now? FREEDOM YES! I was so happy to graduate from high school. I was doing my A-levels. I’m having my year off now and am planning to start a bachelor degree at University in September. I’ll still have a lot more time for windsurfing as it’s 15 hours maximum that I have to be present, I can manage the remaining time myself. Or I might even do an online program which will allow me to go anywhere I want. 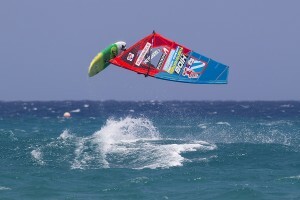 Do you think it’s going to be easier for you to train now that you can focus more just on windsurfing? Yes, I’m sailing so much more then I used to. When I was in school I sailed around once a week. Now I sail whenever its windy or maximum 6 days a week. What I’ve learned is that this makes it a lot harder to stay motivated, or at least it is for me. What I try is to do is set goals before going out or I rewatch livestreams of competitions to get some motivation. But that’s something that I’m actually struggling with a little bit. In 2016 you entered one wave event in Sylt… do you plan to compete in more wave events in the future or was that just a one off? I’m planning on doing at least 3 events this year! Really looking forward to that. I’ll have to go wave sailing a little more often, it’s just too much of a habit to take my freestyle board. Thanks Maaike – enjoy the rest of your time in Vietnam and see you on the water soon.